Eye irritation occurs for many reasons. Smoke, dust and other environmental irritants can cause eye irritation, although eye strain and a lack of sleep also contribute. Symptoms of eye irritation include swelling, puffiness and bloodshot eyes. While generally not dangerous to health and vision, the symptoms are uncomfortable. Many home treatments exist that offer relief from the symptoms. 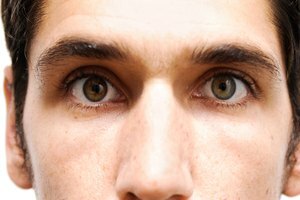 Home treatment for irritated eyes usually takes one of two approaches. Cooling the irritation or applying compresses of soothing herbs both reduce symptoms and help treat the irritation. Cold compresses reduce swelling and bloodshot eyes. Commercial compresses look similar to an eye mask. You place them in the refrigerator or freezer before applying them to the eyes. According to hubpages.com, a bag of frozen vegetables works just as well. Wrap the bag in a towel to reduce the freezing cold of the bag to a tolerable level. Place the bag on the eyes for 10 to 15 minutes. 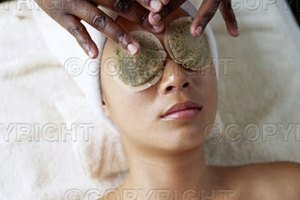 Slices of cucumbers placed on the eyes also provide cooling that is more subtle than the frozen compresses. Sit in a comfortable chair while applying the cucumbers. Keeping the head elevated above the body lowers blood flow to the eyes and will help reduce swelling. Herb compresses also can soothe irritated eyes. 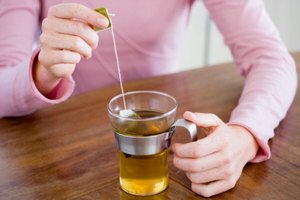 Make a herbal tea and allow it to cool to a warm but comfortable temperature. Soak a clean cloth in the tea and apply as a compress to the eyes. 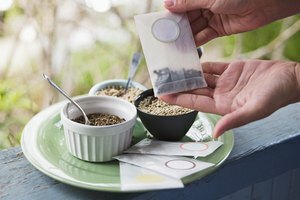 "Prescription for Nutritional Healing" suggests applying herb tea compresses for 10 to 15 minutes twice per day or more often if needed. Suggested herbs include warm eyebright, mullein and goldenseal. All are anti-inflammatory. Raspberry leaf is used in a similar manner and is useful in treating bloodshot eyes. 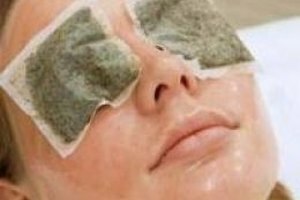 Another treatment for irritated eyes utilizes tea bags. Place conventional tea bags in ice cold water before placing them on the eyes. 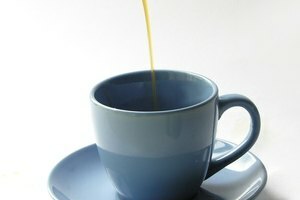 It is thought that the caffeine in the tea constricts the blood vessels in the eye and surrounding tissue. This reduces the bloodshot appearance of the eye and the swelling of the surrounding tissue. Tea also contains tannin, an astringent; this helps tighten the skin around the eyes, reducing the appearance of puffiness.